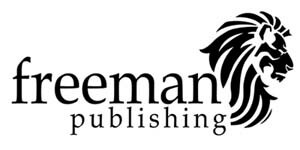 The Freeman Institute® and The Freeman Institute® Foundation have combined resources to launch the free man publishing (fp) enterprise. A curiosity-driven multi-media publishing company. 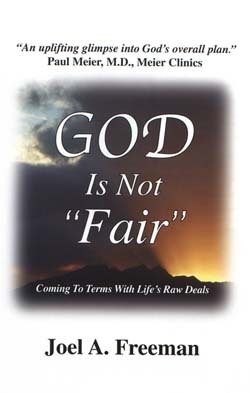 The first curiosity-driven resource is found in two editions of the same 192 page book, "God Is Not Fair: Coming To Terms With Life's Raw Deals." 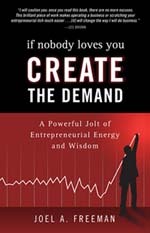 One edition (subtitled: Coming To Terms With Life's Raw Deals) has been designed for the general marketplace. The other edition (subtitled: Making Sense of Loss and Grief) has been private-labeled by National HME for the hospice community. This particular edition was launched at The National Hospice and Palliative Care Organization (NHPCO) conference in Washington, DC. The book will also be of special interest to: hospital chaplains, therapists, prison chaplains, clergy, military chaplains, psychologists, pastoral counselors, parents of teenagers, guidance counselors, spiritual advisors, mentors, social workers, and anyone else in the people-helping profession -- looking for resources to help people walk through grief and loss. This title has already been a bestselling book for 25 years, with over 400,000 copies worldwide in some 20 foreign translation editions -- endorsed by Billy Graham, Joni Eareckson Tada, Paul Meier, and many others. 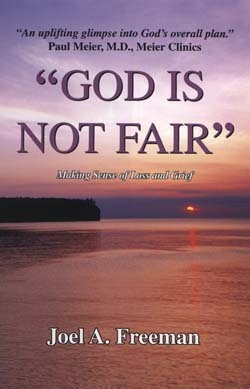 The two expanded and updated 25th anniversary editions of "God Is Not Fair" were released recently. The audio book, mp3 and ebook editions will soon follow. We already offer an edition for youth and also a hard-cover gift edition. Read the back cover copy below. NOTE: It is important to communicate that free man publishing (fp) is committed to the highest quality of product and customer service. fp is willing to work with any organization desiring to develop their own "private-labeled" edition of this or any future resources developed by fp. We establish exclusive relationships with only one entity per profession. For instance there will only be one organization selected for the hospice industry, prison outreach, or some other category, association or organization. fp is also willing to having any edition translated and published anywhere around the world. "freeman publishing -- joel freeman -- books -- films -- DVD -- mp3 -- audio -- ebook -- documentary -- magazines -- holographic images -- graphic novels -- comic books -- youtube videos"